Matte white 16 oz double wall 18/8 stainless steel thermal tumbler with copper vacuum insulation, stainless steel rim and base, threaded snap fit Tritan lid for hot/cold use and flexible wide silicone straw – retail gift box included. Nine body color options, hot 12 hours / cold 24 hours. Red 25 oz single wall [BPA-free] Eastman Tritan copolyester bottle with threaded dual-opening lid, threaded top, and soft carrying handle. Nine body color options. Shown with three color imprint. 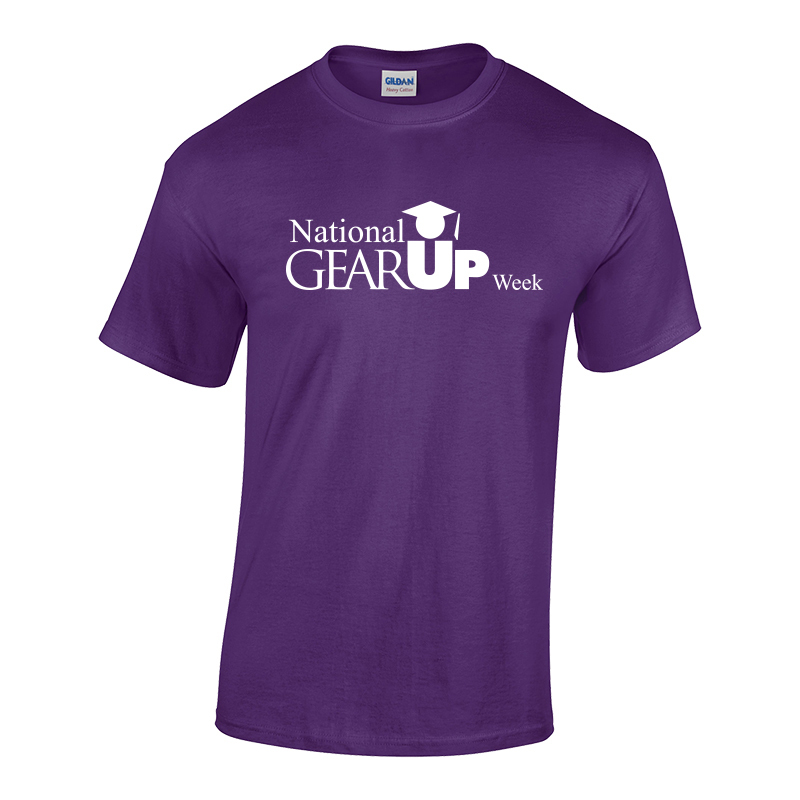 We can print with any GEARUP stock or custom artwork. Cont act us today for your free virtuals. 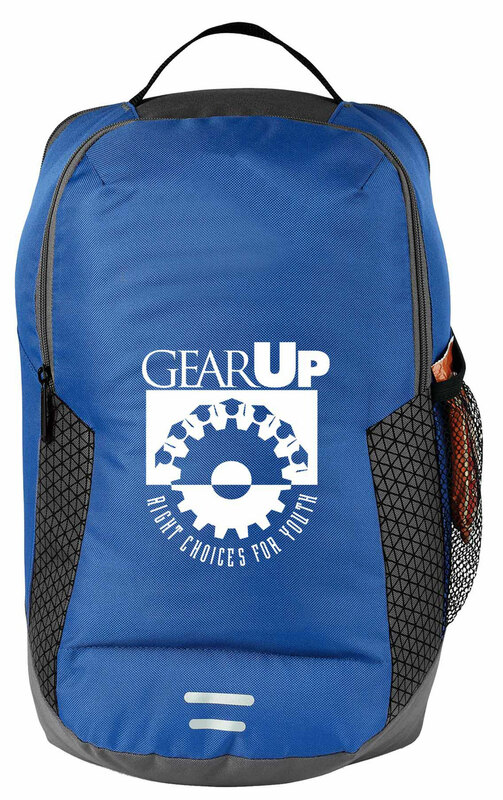 If you have any questions or wish to order with stock GEARUP logo, our your own custom artwork, please email gearup@proformagreen.com or call Kelvin Thomas at Toll-free 866.241.7606, extension #4. High-Quality Neoprene (Wetsuit Material) with Zippered Closure to keep computer secured ( No closure on flap ). Adjustable Shoulder Strap. Airport-Friendly! Fits most laptop computers up to 14″ screen size ( and some 15″ models ). Over 60 color options. And we can print with any custom or stock artwork. High-Quality Neoprene (Wetsuit Material ) with gusset and zipper closure with customization colored stitching. Mix and match colors. We can print with any custom or stock artwork. 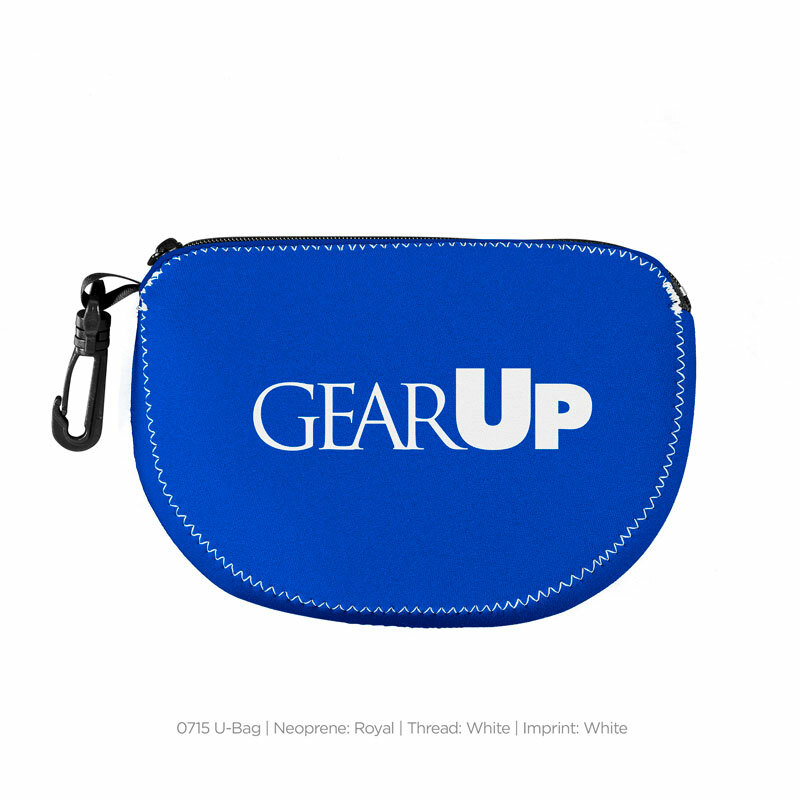 The seven-piece Yes Kit includes a drawstring sport bag with zippered pocket, 25 oz. 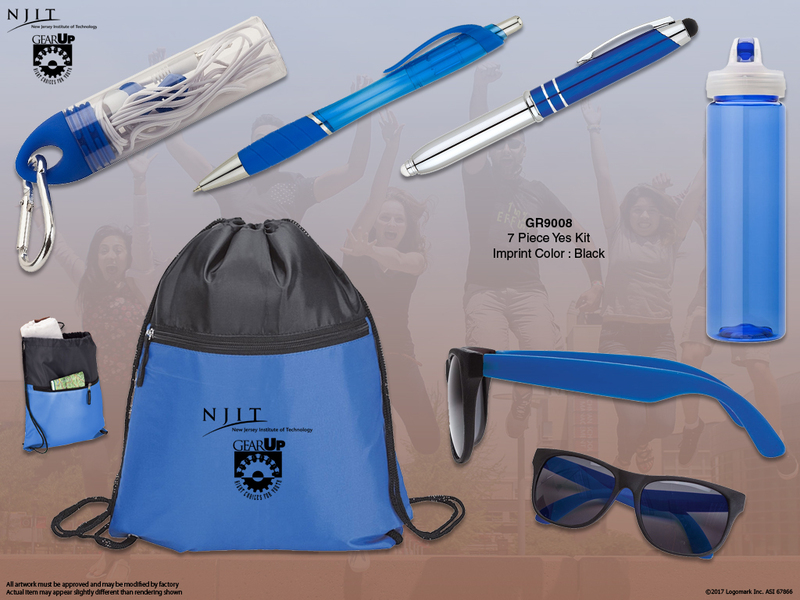 USA-made PET bottle with flip spout, fashion sunglasses, 80 page spiral notebook with pockets and matching twist-action ballpoint stylus pen, aluminum cap off ballpoint pen with LED light and capacities stylus, stereo earbud headphones, and a plunge-action ballpoint with hourglass barrel design and rubber grip. 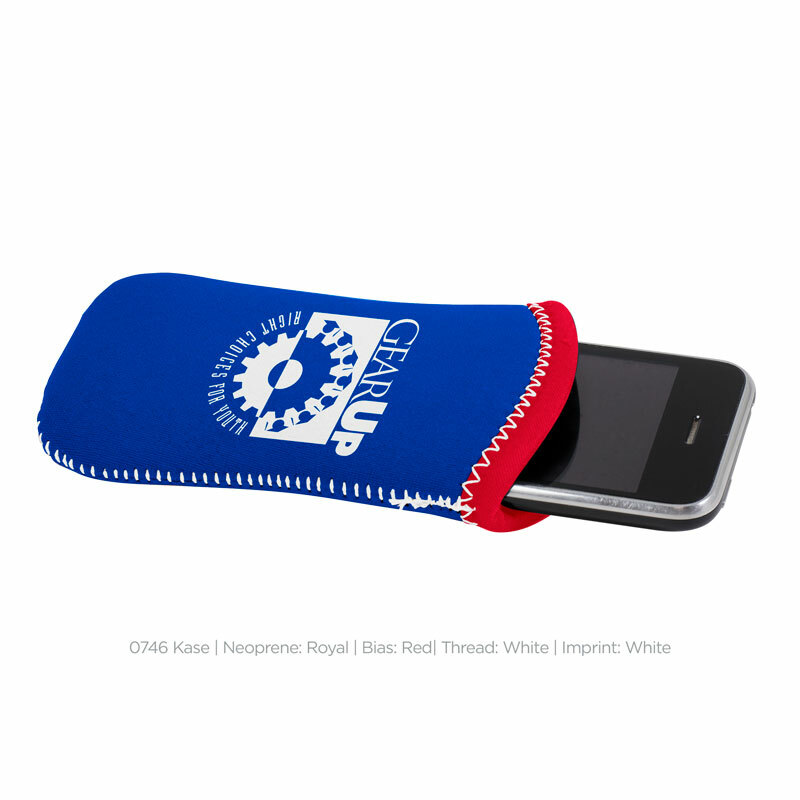 High-Quality Neoprene (Wetsuit Material ) Kase. Fits most popular touchscreen smartphones, including iPhone and EVO. Features customizable colored stitching and bias trim. Mix and match color trims. We can do any custom or stock imprint. Soft-Sided Ice Chest made of Tough Duck with Leak-Proof Liner. Up to 6 color imprint! Nine color options. Ask about adding your program information to these items. Classic fit long sleeve t-shirt made of 5 oz., 100% Pre-shrunk jersey cotton (some acceptations apply) Seamless 1×1 rib collar with two-needle coverstitching on front neck. 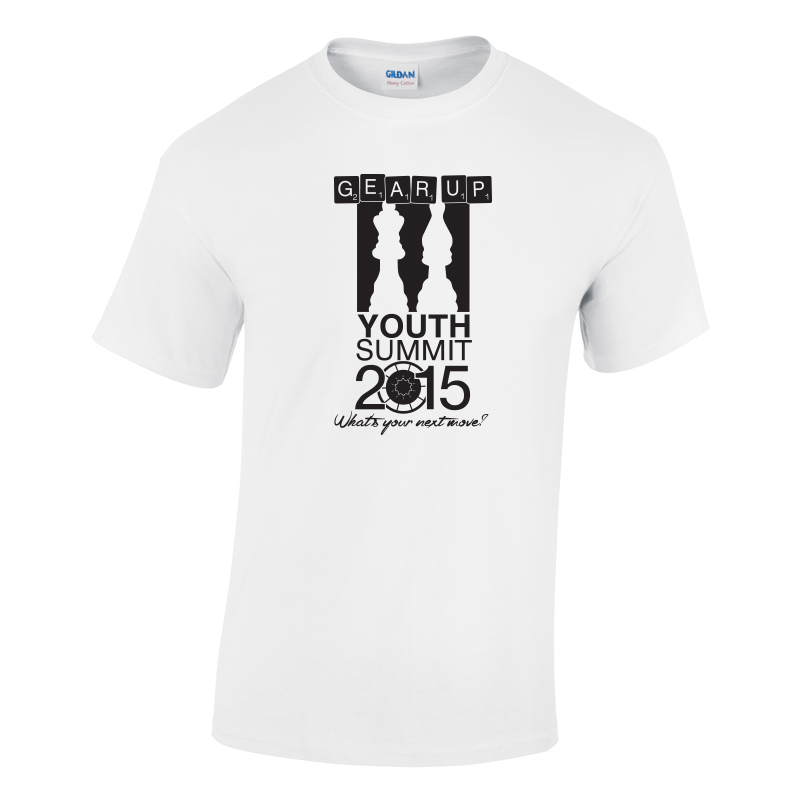 Classic fit t-shirt made of 100% cotton* 6 oz. Preshrunk Jersey knit fabric. Classic fit hooded sweatshirt made of 8 oz. 50/50 Cotton/Polyester blend Preshrunk Fleece. Features air jet yarn that makes for a softer feel and reduced pilling. Double-lined hood with matching drawstring. Pouch pocket. 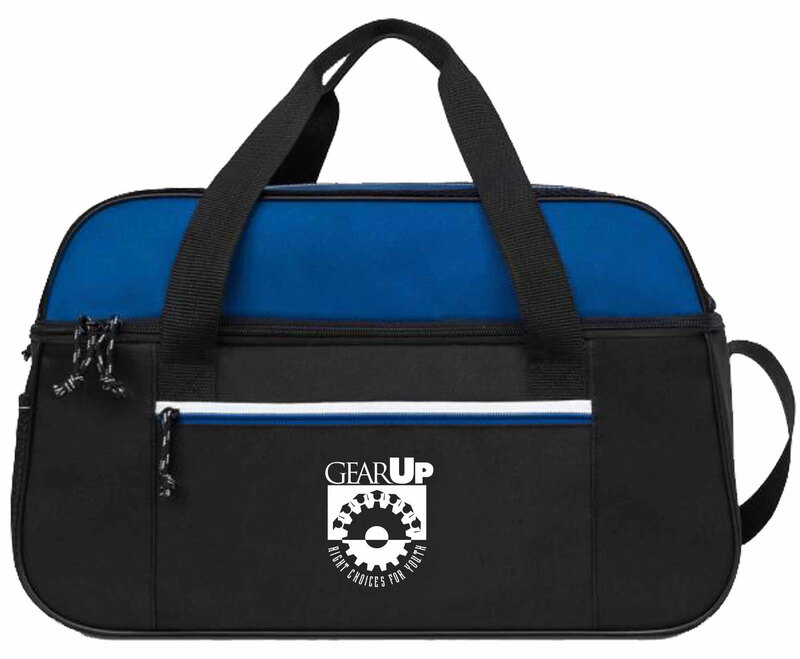 This modern computer bag was designed with the tech-savvy professional in mind Padded, scratch-resistant exterior pocket fits most tablets and e-readers Padded, zippered computer sleeve fits up to a 15.4″ laptop Front zippered pocket Side mesh water bottle pocket (water bottle not included) Side cell phone pocket with hook and loop fastener Multi-function organizer under front flap Wide, adjustable shoulder strap for carrying comfort. Fits up to a 10” tablet. 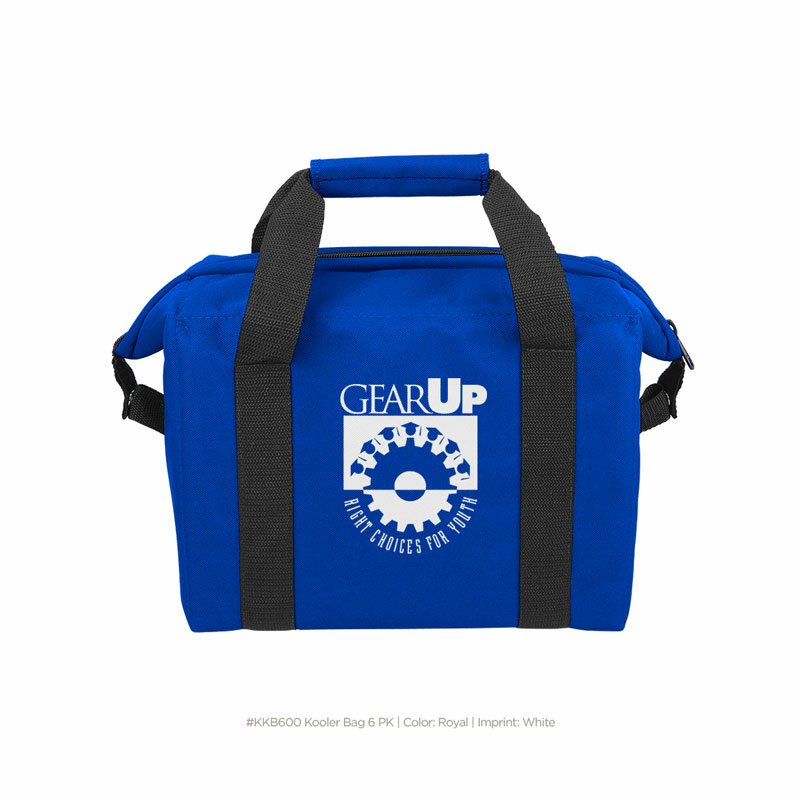 All items can be printed with the same one color custom or stock GEARUP logoo. 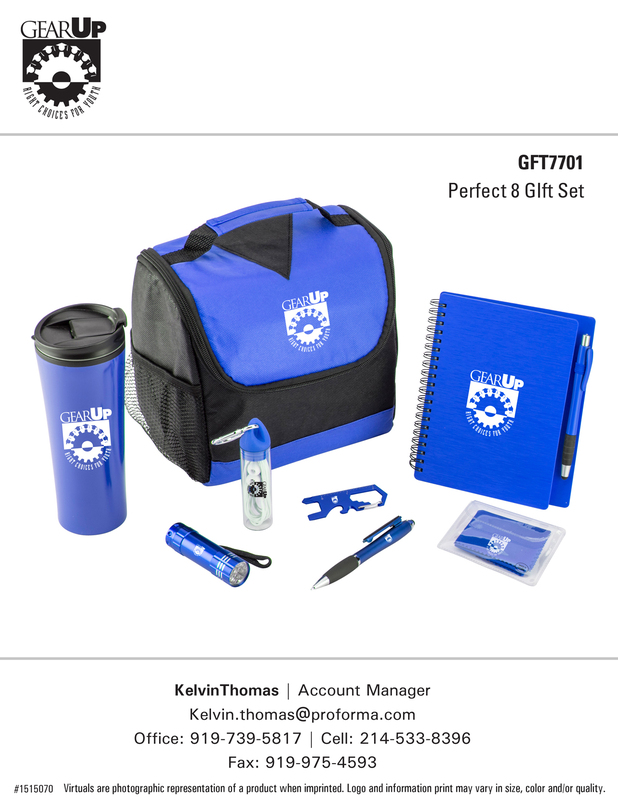 8 piece gift set includes: Renegade Aluminum Flashlight, Center Divider Lunch Bag, Ear-a-biners Earbuds, Mercury Notebook Set with stylus pen, Curvaceous Stylus Twist Pen with Screen Cleaner, 16 oz. Aviva Stainless Tumbler, Carabiner Multi-tool, and Galaxy Screen Cleaning Cloth. Mix-and-match colors! 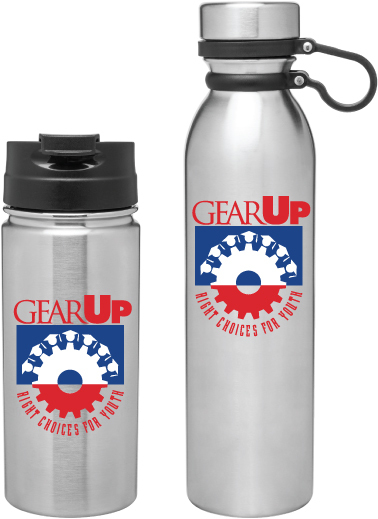 Proforma can print with any GEARUP stock or custom artwork. 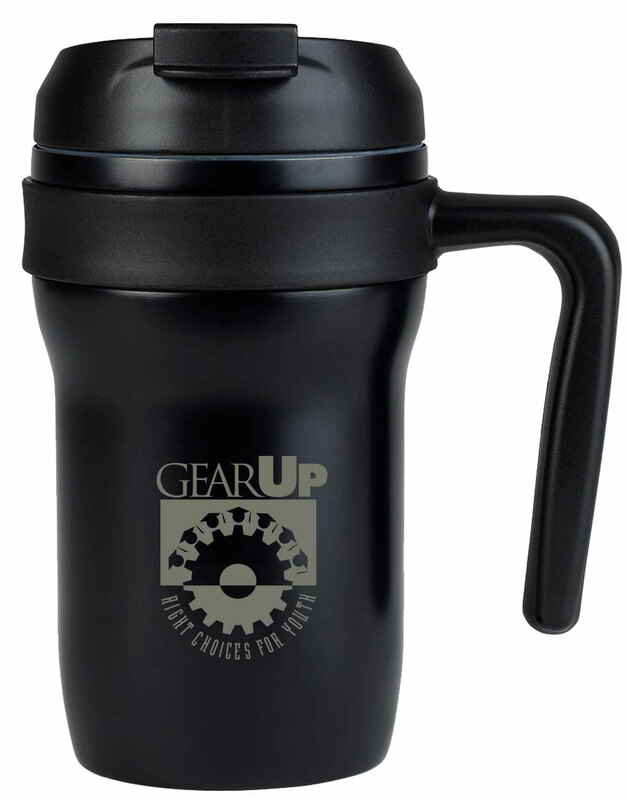 Double wall vacuum insulated mug keeps your beverages hotter longer. Made of high-grade 18/8 stainless steel with a sweat-proof design. 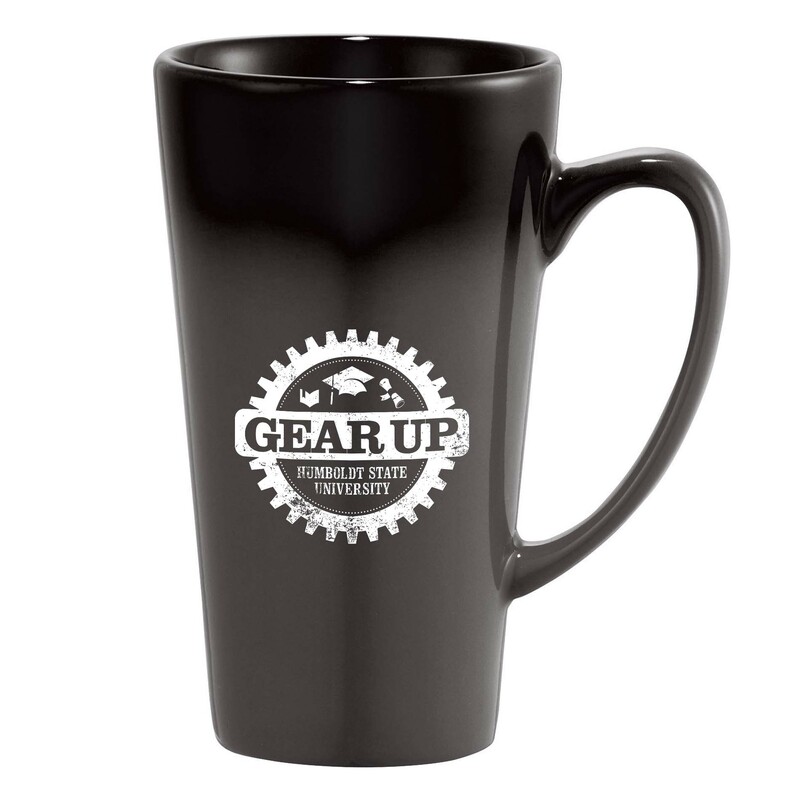 Flip-lock lid limits spills and ergonomic handle makes this mug comfortable to hold. Single serve friendly for the perfect cup of coffee every time. Fits in most car cup holders for easy on-the-go use. Passivated interior protects against corrosion. Product does not retain odors or flavors. Lid is dishwasher safe (top rack), hand wash body recommended. BPA free. Keeps cold for 12 hours. Keeps hot for 6 hours 12 oz. Large main compartment with zippered closure. Front zippered compartment with mesh organization pocket. On-trend printed graphic accents for added appeal. Side mesh water bottle pocket. Adjustable, padded shoulder straps. Top grab handle. Black Fashion-Forward 600D Polyester Tech Bag With Contrast Stripe Accent And Flap Lining. Double Closure Buckles And Reflective Tape Detailing For Safety. Padded Laptop Sleeve With Webbing Strap Closure. Side D-Ring For Accessories Or Keys. Adjustable Padded Shoulder Strap For Comfort. 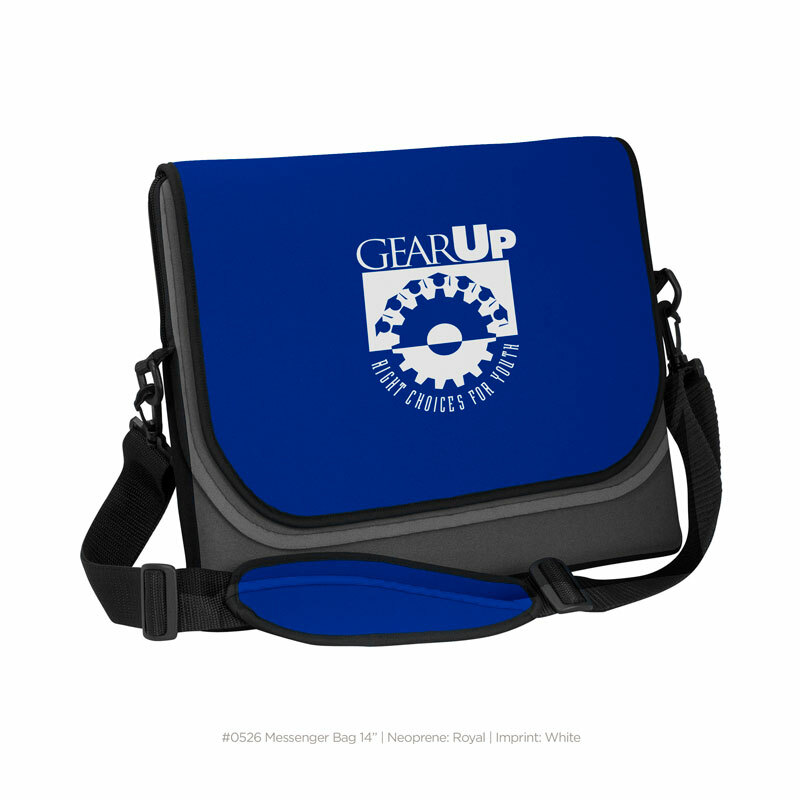 Fits Up To 15″ Laptop. 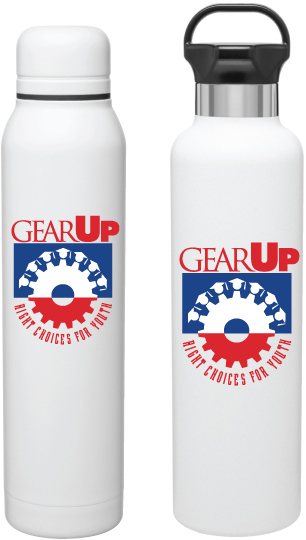 Three new Coleman cooler designs for GEARUP. Blue, black, and red color options. 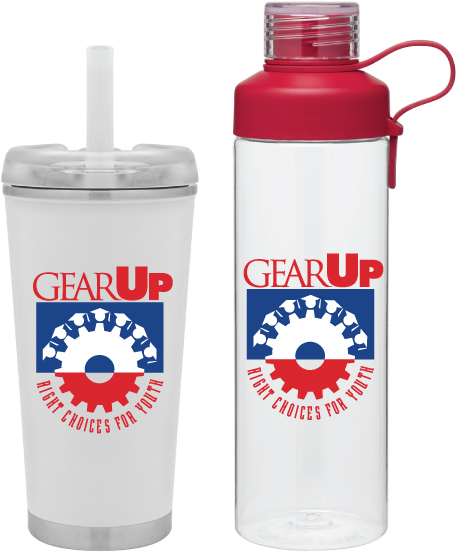 Proforma can print with any GEARUP custom or stock logo. Coleman branding on totes, and on zippers. Retail quality bags. Coleman 9-Can Lunch Tote Cooler Size: 10w x 8.5H x 4.5D 600D polyester exterior with Coleman heat sealed PEVA leak proof lining Front zippered pocket and zippered main closure; with Coleman zippers 18″ long 2-ply dual colored handles Red, blue, black trim color options. Coleman 8-Can Lunch Tote Cooler Size: 9w x 8H x 6D 600D polyester exterior with Coleman heat sealed PEVA leak proof lining Front zippered pocket and zippered main closure; with Coleman zippers 43″ adjustable webbing strap with 8″ top handle Red, blue, black trim color options. Coleman 28-Can Boat Tote Cooler Size: 14w x 13.5H x 8D 600D polyester exterior with Coleman heat sealed PEVA leak proof lining Front zippered pocket and zippered main closure; with Coleman zippers 26″ long 2-ply dual colored handles Red, blue, black trim color options. Please send us your art to get free virtuals. 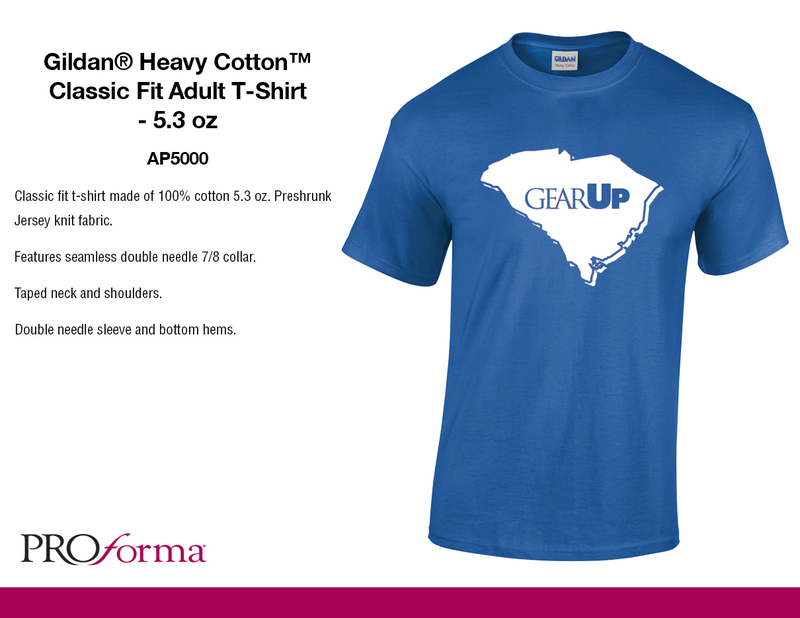 Proforma can print with any stock or custom GEARUP artwork. 16 Oz. 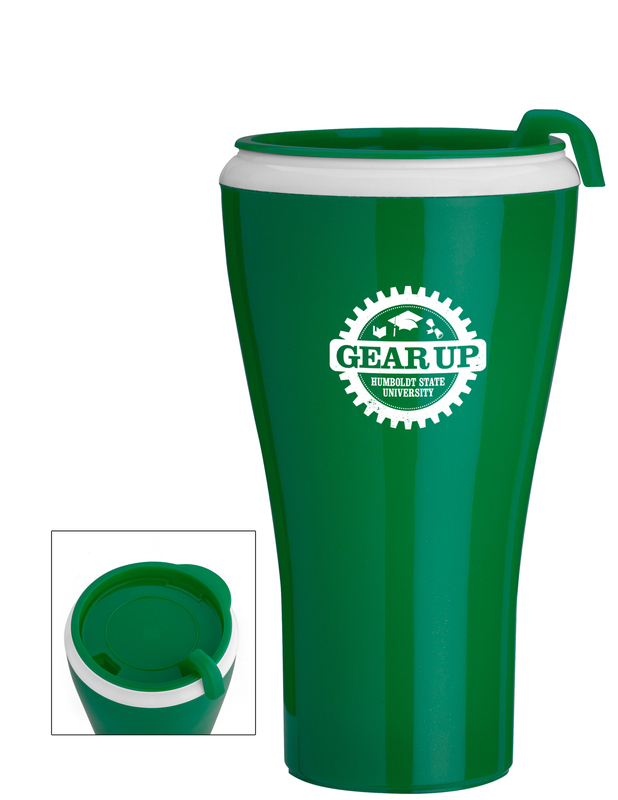 Double Wall (Stainless Steel Outer And Polypropylene Inner) Tumbler With Removable Handle. Flip Snap Threaded Lid With Rubber Gasket For Spill Prevention And Non-Skid Pad On Bottom. Double Wall With Slim Taper; Fits In Standard Cup Holders. Good For Hot And Cold Beverages. 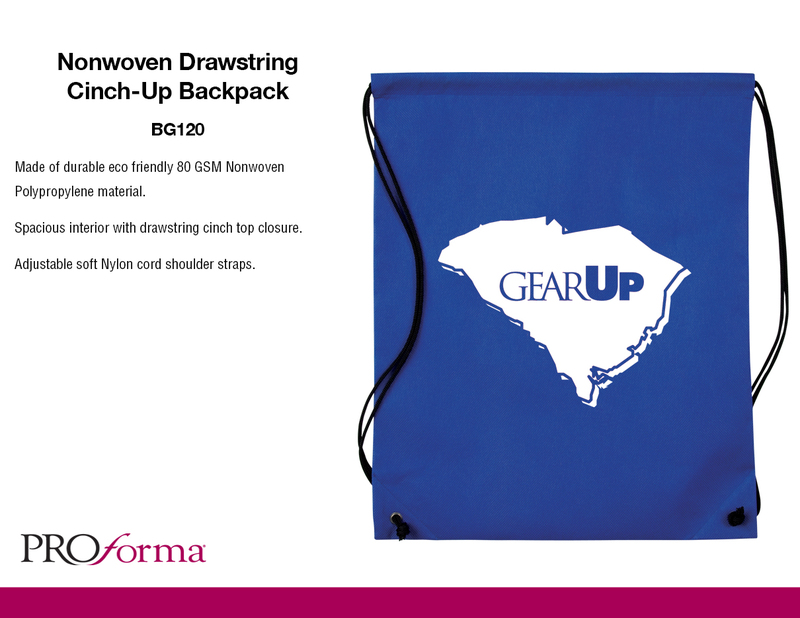 Proforma can deboss with any GEARUP stock or custom artwork. Soft Touch Pu Leather Coated Cover With Grey Elastic Wrap Front And Back, Pocket And Pen Holder On Spine. Perfect Bound Notebook With 100 Lined Sheets And Matching Ribbon Bookmark. Paired With The Aruba Ballpoint Pen. 600D Roll Top Cooler Backpack. 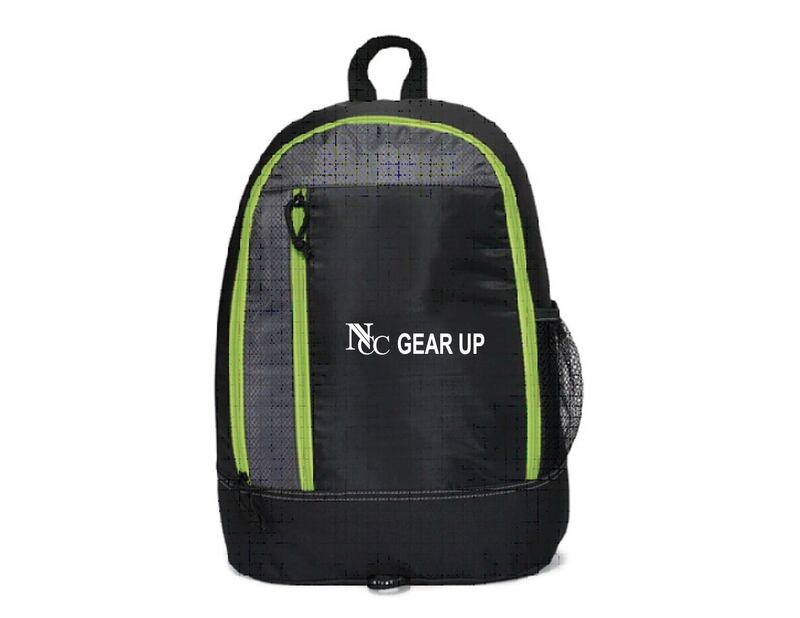 Features A Leak Resistant And Heat Sealed Peva Insulated Interior; Open Front Compartment With Mesh Organizational Pockets; Front Zippered Compartment; Mesh Side Pocket For Bottles; Zippered Side Pocket; Compression Straps; A Roll Top Lid With Snap Buttons And Buckle Closure; And Padded Adjustable Straps With Sternum Strap. Classic fit hooded sweatshirt made of 8 oz. 50/50 Cotton/Polyester blend Preshrunk Fleece. Features air jet yarn that makes for a softer feel and reduced pilling. Double-lined hood with matching drawstring. Pouch pocket. Double needle cuffs. 1 x 1 rib with spandex. Washing Instructions: Machine wash warm, inside out, with like colors, remove immediately. Use non-chlorine bleach only when needed. Tumble dry medium, cool iron if needed (do not iron if decorated). Do not dry clean. Jetline recommends hand washing all imprinted products. h2go force – gloss white 17 oz double wall 18/8 stainless steel thermal bottle with copper vacuum insulation and threaded stainless steel lid – retail gift box included. h2go force – matte black17 oz double wall 18/8 stainless steel thermal bottle with copper vacuum insulation and threaded stainless steel lid – retail gift box included. h2go force – matte gray17 oz double wall 18/8 stainless steel thermal bottle with copper vacuum insulation and threaded stainless steel lid – retail gift box included. Zippered closure. 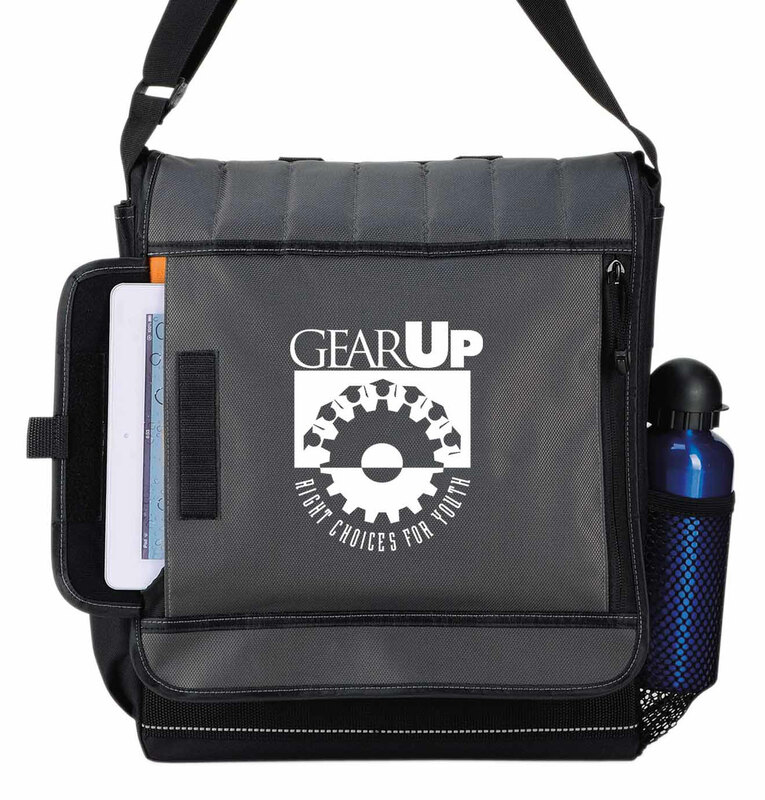 Interior organizer with gusseted file pocket and business card pockets. Pen loop. Includes 8.5″ x 11″ writing pad. 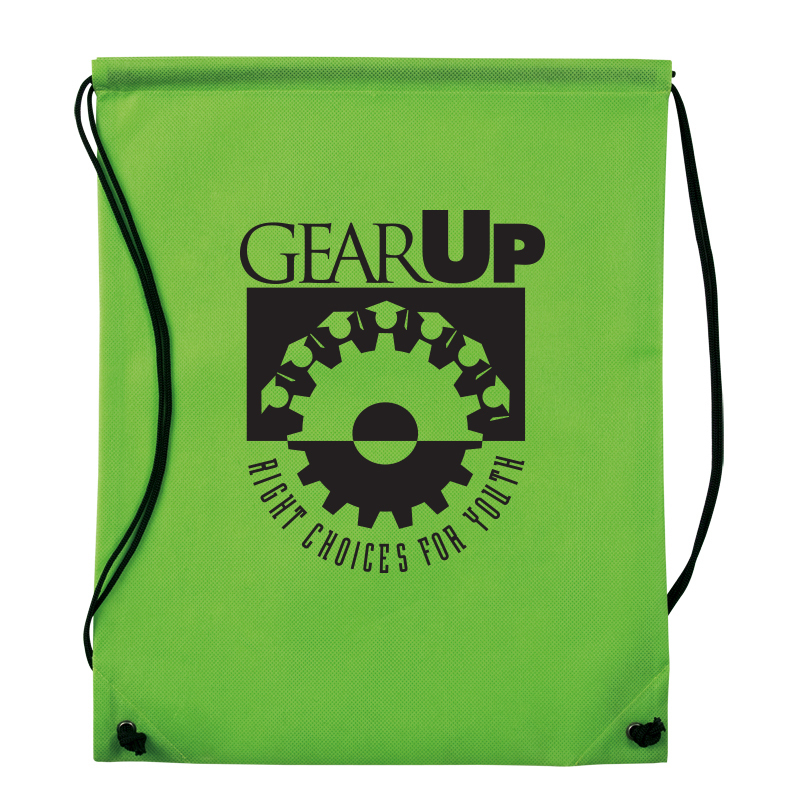 New for 2016, Keep Calm theme $1 cinch bags for GEARUP. 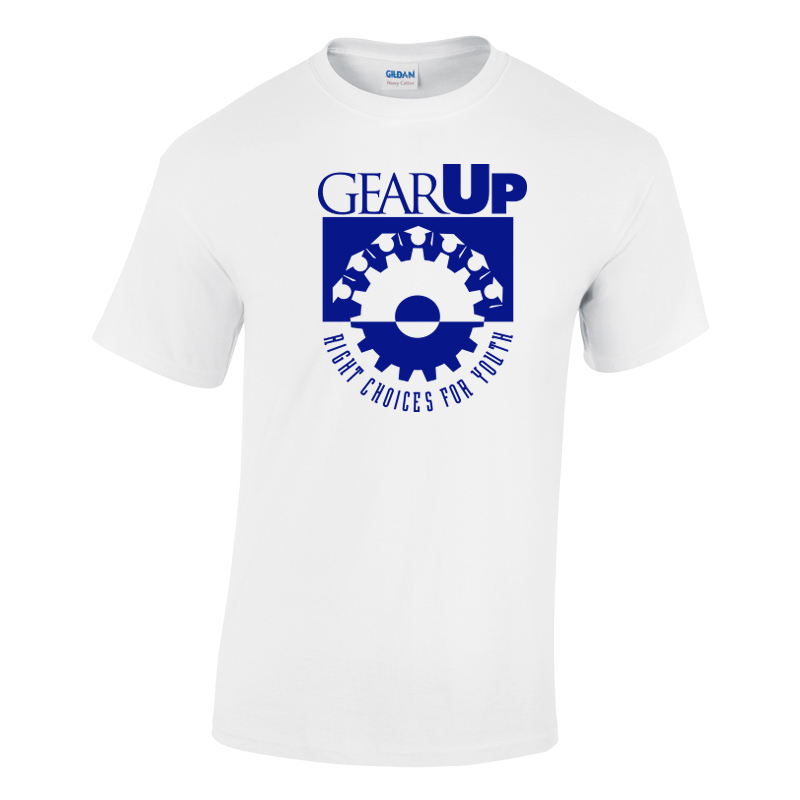 Keep Calm and GEARUP Theme artwork now available for tee shirts, hoodies, and bags. One color imprint $3.86 tee at 144 or more tees per order. The Perfect 10 items are: Color Splash Sport Pack, Wake-Up Classic Coffee Cup, 16 oz. 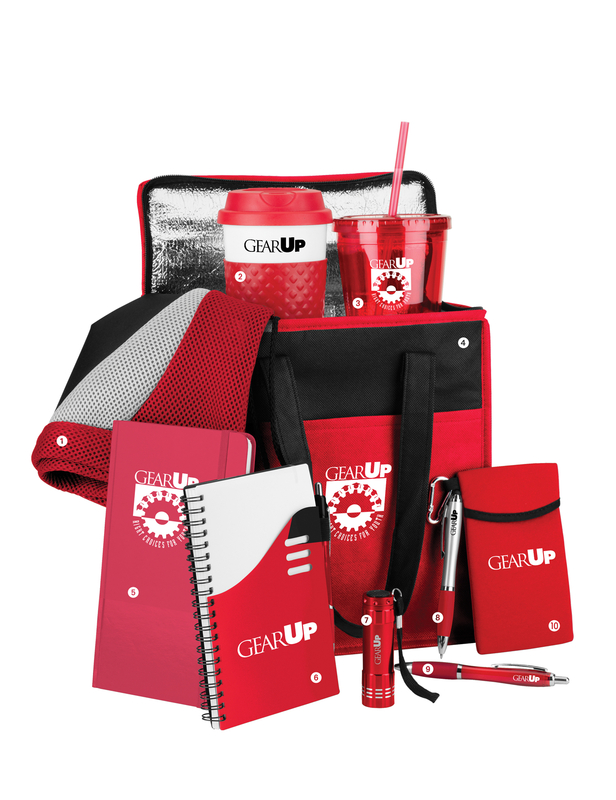 Everyday Tumbler, Koolie Carry-All Cooler, Kingston Journal Book, Color Wave Notebook, Renegade Aluminum Flashlight, Curvaceous Ballpoint Stylus, Curvaceous Gel Pen, Kangaroo Tech Pocket. 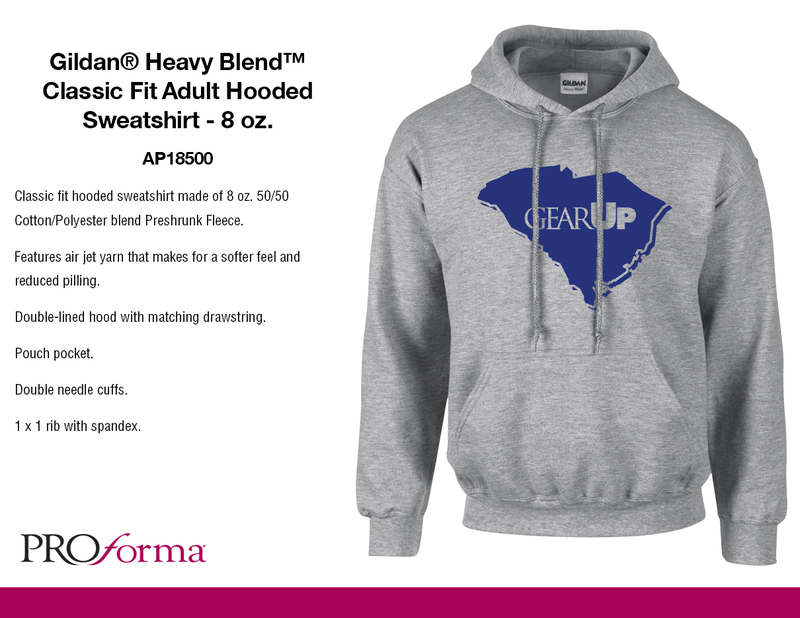 Classic fit hooded sweatshirt made of 8 oz. 50/50 Cotton/Polyester blend. Preshrunk Fleece. Features air jet yarn that makes for a softer feel and reduced pilling. Double-lined hood with matching drawstring. Pouch pocket. Double needle cuffs. 16 oz. Easy-grip, Bold high gloss color PP outer wall with White PP liner, Double wall insulation, Matching color spill-resistant slider lid, Made in the USA, BPA Free, Top rack dishwasher safe. All ten items. $20. Custom imprint is available for orders over 100 units. Classic fit hooded sweatshirt made of 8 oz. 50/50 Cotton/Polyester blend. Preshrunk Fleece. Features air jet yarn that makes for a softer feel and reduced pilling. One color imprint. One location. 100% cotton tees. $3.85 S- XL. 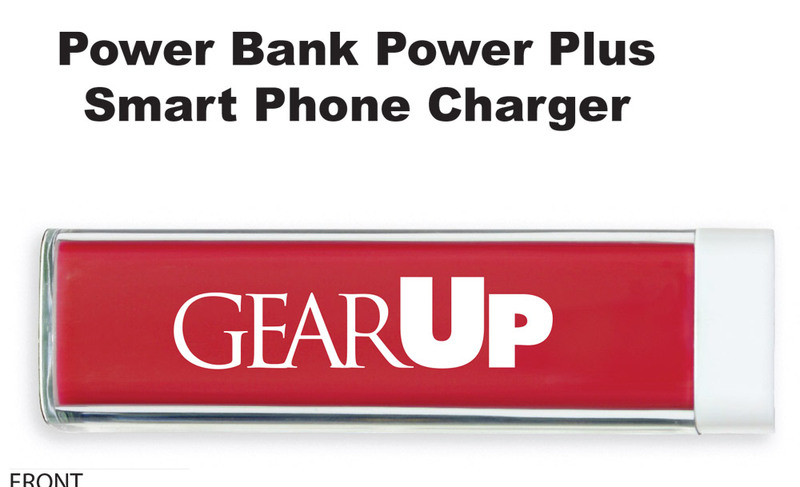 2200 mAh Lithium Ion Grade A Non-Recycled Battery Features A USB Output And Micro USB Input (Cord Included) Charges Smart Phones, MP3 Players, And More! 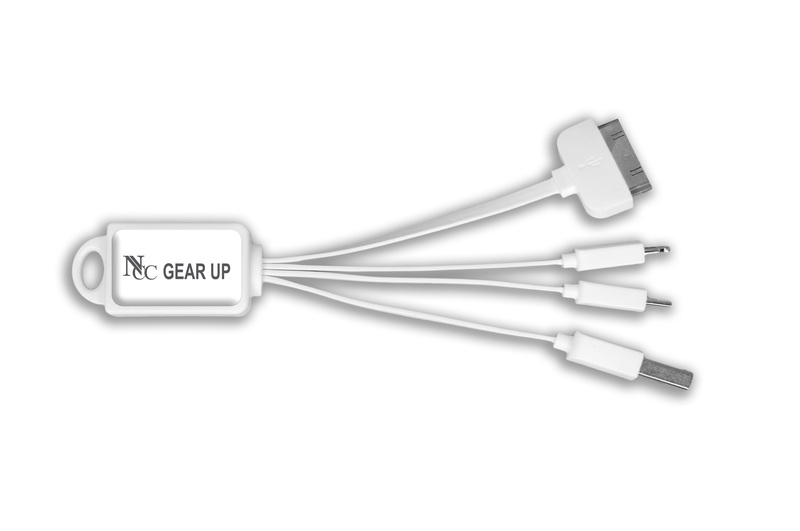 Output: 5 Volts/.8 Amp Requires Your Phone’s Charging Cord To Charge Your Device. Cozy ceramic mug with a trendy ombre gradient pattern. Choose between color imprinting or our new cutting edge dishwasher safe laser decorating method. Sporty, stylish and very affordable Zippered main compartment Zippered front pocket for storing accessories. Side mesh water bottle pocket (water bottle not included). 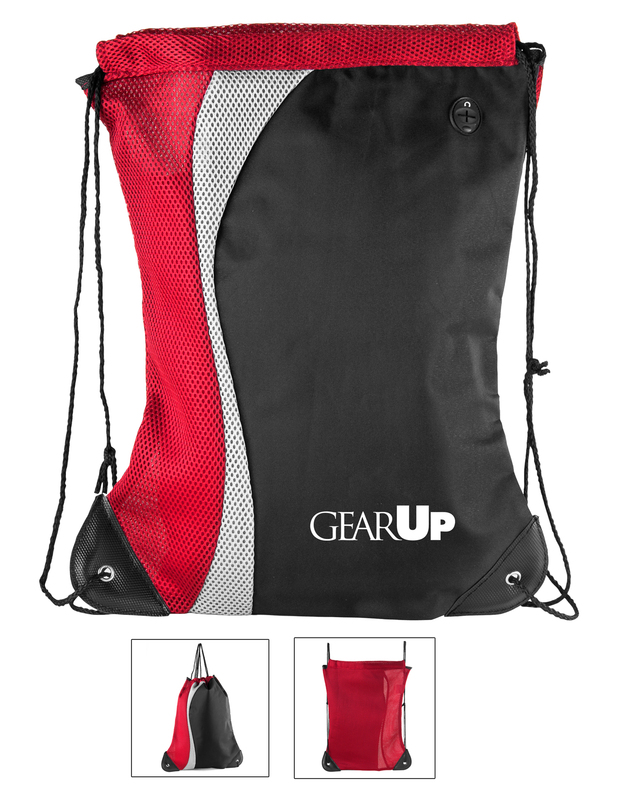 Padded, adjustable shoulder straps Top grab handle and front reflective tab. Back panel of each bag is black. This product is kid-friendly/CPSIA compliant.